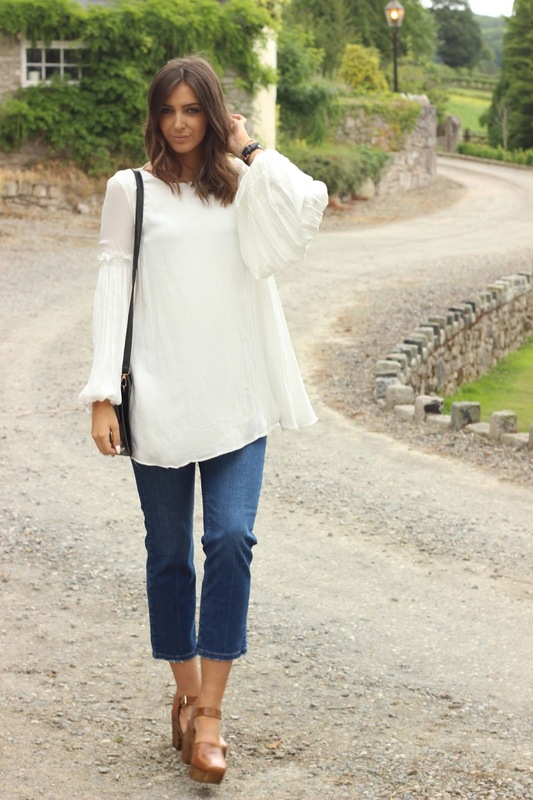 I feel all ABBA-esque in this bell sleeve top. Or my 'pirate top' as my boyfriend calls it. But it's swishy, fun, pretty and perfect for summer. This is actually a dress from Zara but being the same height as Hagrid, it's pretty short for me, so wearing it with jeans is a bit of a compromise (and a bit of a dignity saver). And it's so Chloe, too. It's actually sold out online now but you may be able to catch it in store still. 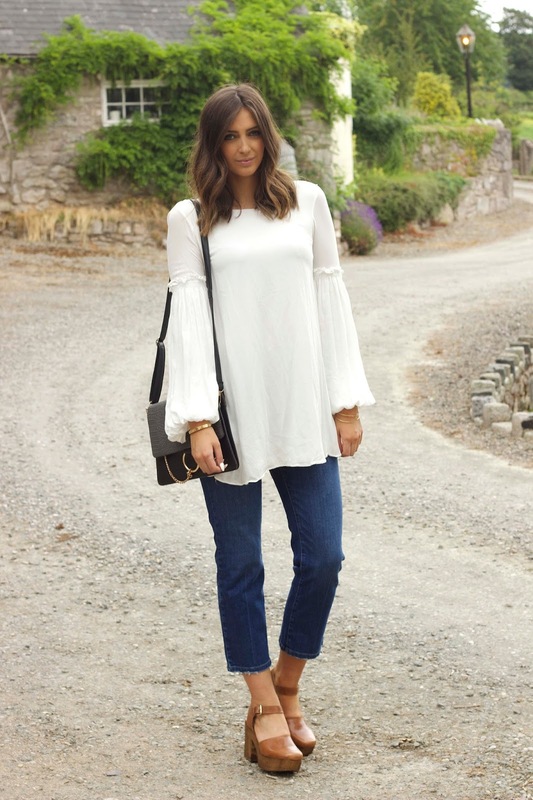 I pared this top with a pair of cropped (yes they're supposed to be that short, it's not just normal jean length on my long legs) jeans from Topshop, which I think are perfect for summer and a nice change from skinnys or flares. Another Chloe shout out here is this amazing bag I got from YesStyle, the same site I got my Drew look-alike from my previous outfit post. 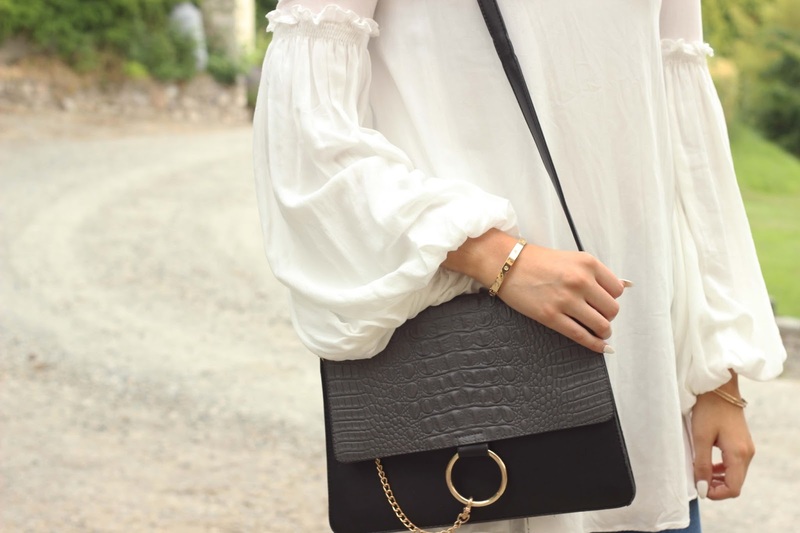 This bag is so chic and it can be worn as a clutch too, which gives it double style points. Along with all this, I've added a pair of platform clogs to top off that 70's retro feel. Ah love everything about this look! The shoes are incredible! 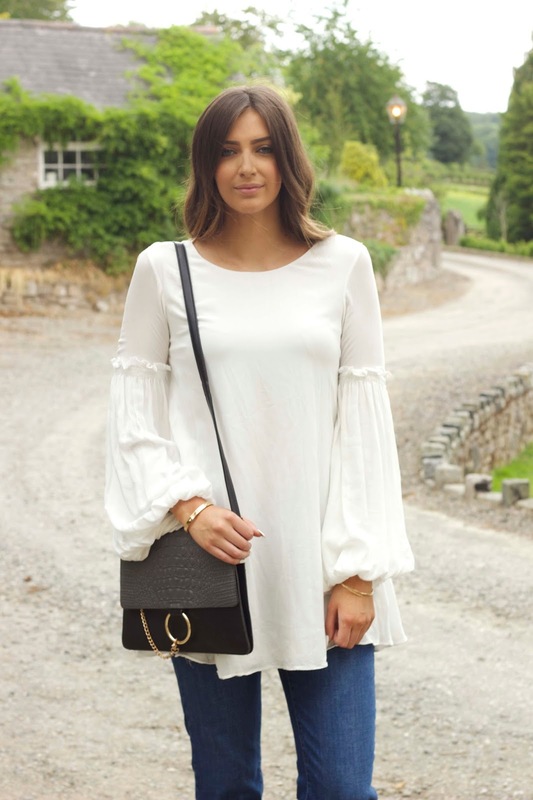 Love this outfit - you look fab! !